← Candy Corn Makes Me Happy! Since I don’t really know any Zombies … I can only imagine that they have bulging blood-shot eyeballs! I found Wilton Vibrant Green Candy Melts which seemed to be an appropriate slimy Zombie color. Cover a tray with wax paper or parchment. Cut marshmallows in half … dip the knife in water to help it from getting sticky. Use the red marker to create blood-shot lines on the marshmallows (not on the cut side) … short strokes seem to work best. Melt the candy according to package directions. Dip a cookie in the candy, covering it completely and tap off all excess. Lay on prepared tray and place 2 marshmallow eyes on top. Chill a few minutes. 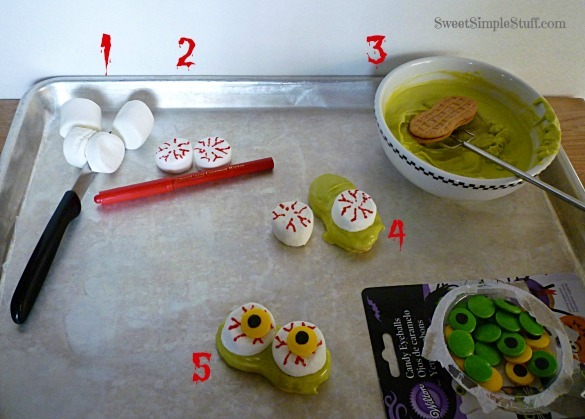 Use a dot of melted candy to attach candy eyeballs. Are you a Zombie lover? I always enjoy your comments! You know how much I love Nutter Butters and your eyeballs are fantastic. I’m sure your son will come around, sooner or later and snack on some. Pinning. Thank you Beth :). We should start a Nutter Butter support group! What would we EVER do without Nutter Butters? You can make just about anything out of them! Great eyeballs and a real quick scare. Thank you Tavette :). Were you really scared? I don’t know I would do without Nutter Butters … they are the answer to everything, LOL! HAHAHA! 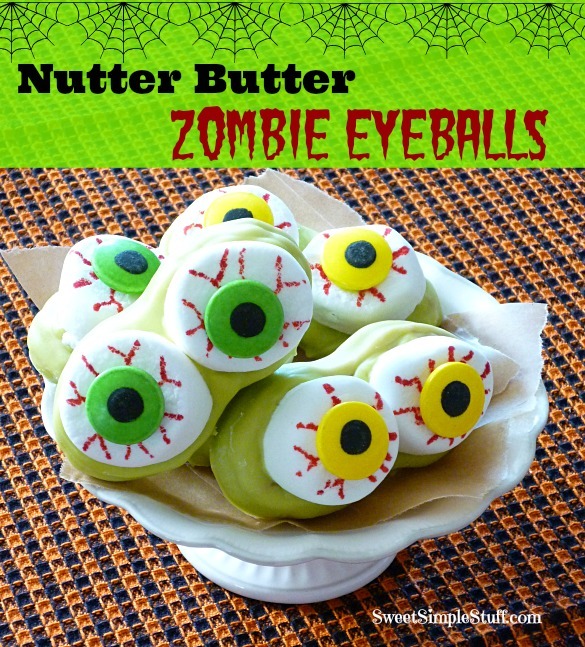 I don’t have any experience with Zombies either but, I would totally eat these eyeballs!! 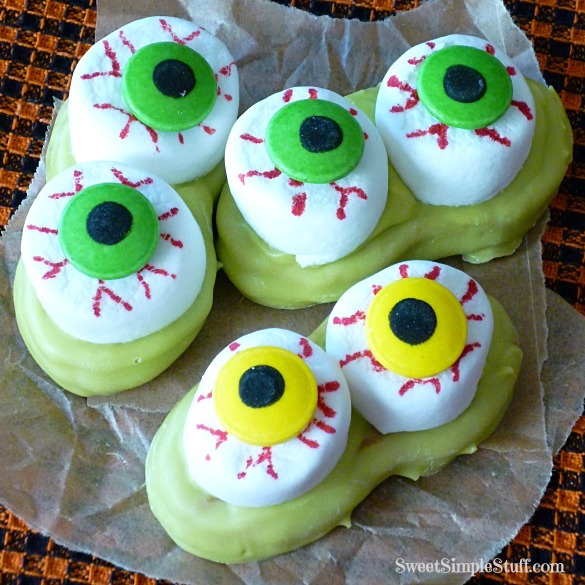 I am happy to hear that you don’t know any zombies either, lol 😉 There is nobody at my house has a problem eating these eyeballs! What a fun idea!! I’m going to have to pin this idea. :) I’m glad I found you at the Link Party Palooza. These are awesome! My boys would love them! These are SO fun! I’m totally making these for my boys 🙂 Pinned! Thank you Trish 🙂 Hope the boys like them! 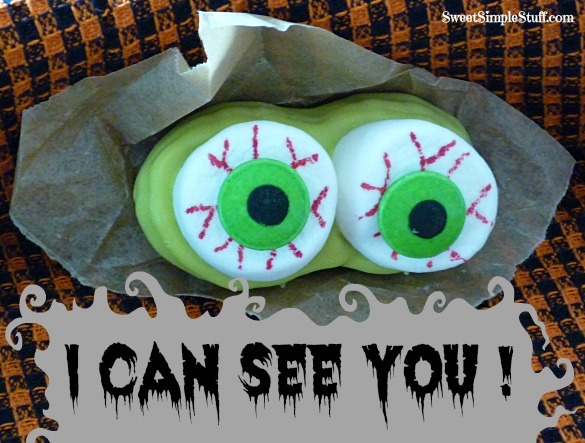 What grocery store did you find the eyes at? I have been looking at several different stores and I have not been able to find them. I was planning on making them in our class next week, I think they would really like them. I bought them at Von’s. 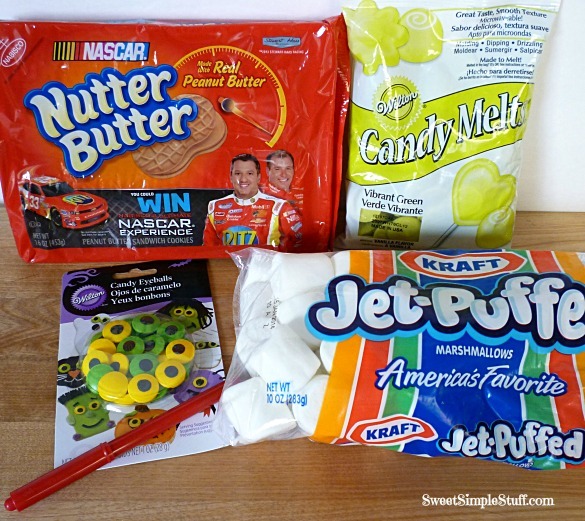 Try Joann’s or anyplace that sells Wilton. Thanks, I went to Joann’s and Michael’s but they didn’t have any but white ones, I’ll try Von’s. Thank you for all the great ideas you share with us. you are the nutter butter PRO!